I love a good Paloma, but I have to admit that I enjoy them when they’re made with mezcal even more. Mezcal is tequila’s smokier cousin and continues to get a lot of love on cocktail menus here in Los Angeles. It adds a lot of depth to a cocktail and can make an old favorite – like the Paloma – seem new again. 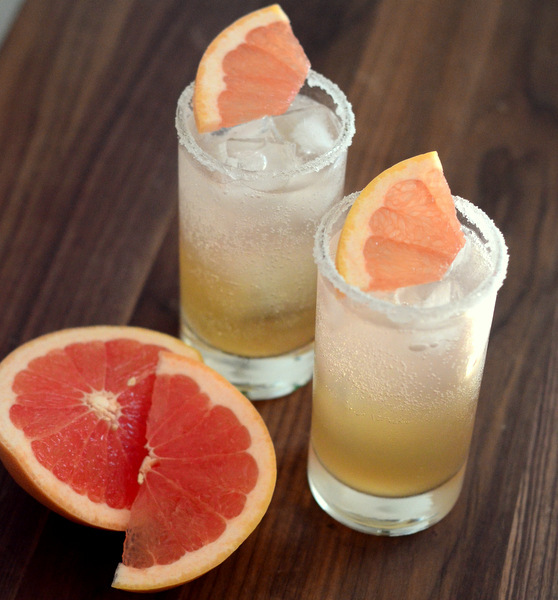 A traditional Paloma uses tequila and grapefruit soda. For this Mezcal Paloma, I wanted to make it a little bit more complex than the classic recipe. I used freshly squeezed grapefruit juice and simple syrup to create a sweet-tart base for the cocktail. I combined that with the mezcal, then topped the whole thing with a generous splash of soda water. While I do enjoy Squirt, this version was much more flavorful than the majority of grapefruit sodas that you’ll find on the market – and much fresher. If you like things a little bit sweeter, feel free to increase the syrup slightly. The recipe can also be batched by doubling up on the first three ingredients, then dividing the mixture among however many glasses you need to fill. 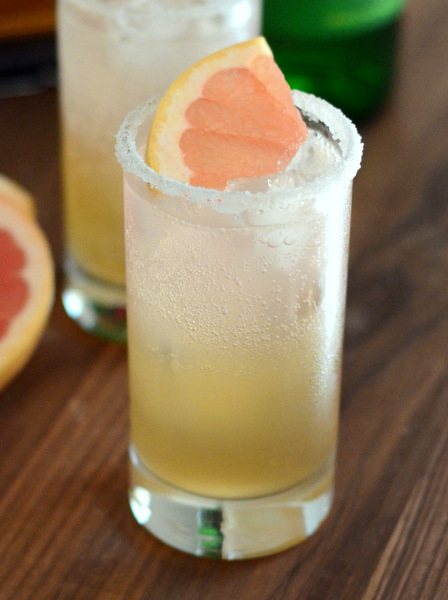 Combine mezcal, grapefruit juice and simple syrup in a cocktail shaker, fill with ice and shake until well-chilled. Strain into a collins glass filled with ice and top with soda water. Garnish with a section or wedge of grapefruit.